Ana Rozman, Radio Slovenija, translated by K. Sm. 23 Slovenian Jews, victims of the Holocaust, are coming back to Ljubljana. 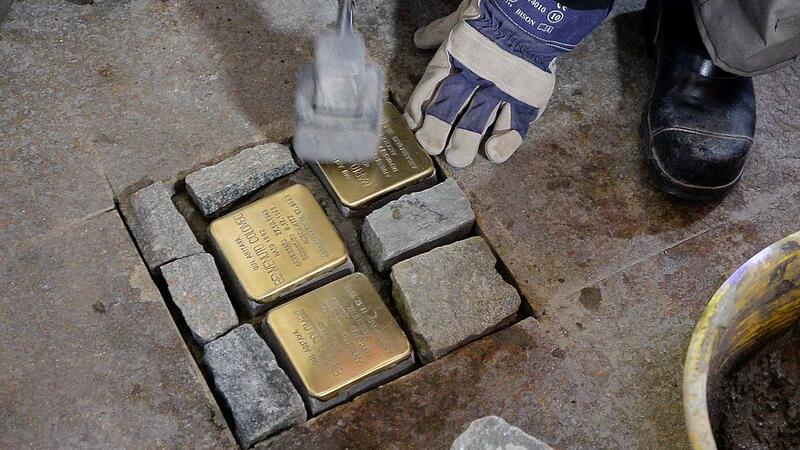 Stolpersteine, memorial cobblestones, are going to be placed at the front entrance of their last residence. Stolpersteine - a concrete cube bearing a brass plate with the name of the victim – was first placed in 1992 by the artist Gunter Deming in Cologne. He placed almost 60,000 Stolpersteine in 22 countries all over the world and by doing that, he created the biggest decentralized monument in the world. Ljubljana is joining in after they placed a few Stolpersteine in Maribor. The President of the Republic of Slovenia Borut Pahor and the President of the National Assembly Matej Tonin are going to place the first Stolpersteine with the artist Gunter Demnig. The event has been organized by the Jewish Cultural Centre Ljubljana in association with synagogue Maribor, Mini Teater Ljubljana and ZRC SAZU.